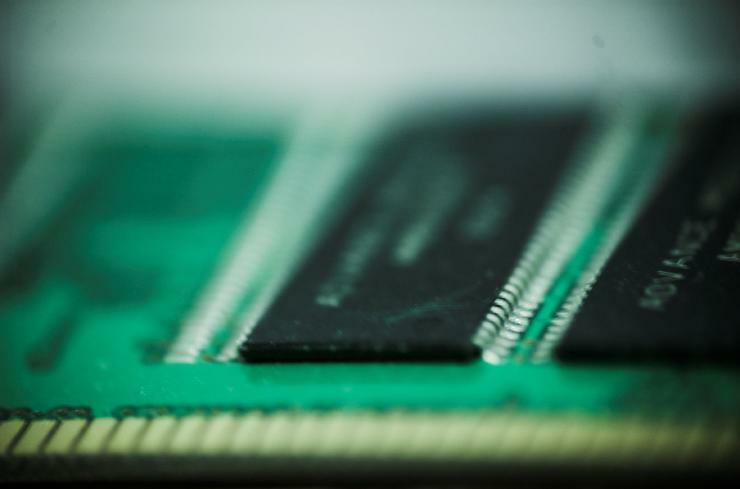 It’s common to be a PC Enthusiast and yet know very little about RAM. Online reviews can be perplexing as they’re frequently multiple pages in length and use all kinds of benchmarks which spit out figures that are meaningless to the uninitiated. Here we’re making things easy for you. First up – if you’re a competitive overclocker, look away right now. There’s nothing for you here but sadness and disappoint. If you just want to know which RAM you should by because you need some for a PC and you CBF with all the BS… welcome! Our number one choice is based upon price. It’s a photo finish behind the competition in terms of performance but generally costs one-third less. The heat-spreaders look funky but are lightweight by comparison. Nonetheless, they should suit everyone but ardent overclockers. If you want the assurance of higher-quality RAM that you know has tested to a higher degree and will serve you well in the future if you do suddenly want to do some more overclocking (or perhaps you worry about this stuff and peace of mind is important to you) then the Ballistix Elite 3200 kit offers top-end performance at a reasonable price. What the heatspreader lacks in looks it makes up for in being chunky and substantial. Are you a Corsair fanboy? These are the sticks we use in our test rig and they’ve served us very well despite numerous insertions and re-insertions. The heatspreader rates as medium in terms of looks and bulk. This monster 32GB kit offers serious speed, serious heat spreaders and caps it all off with programmable flashing LEDs. It costs serious money, though. We don't know how much this Kingston HyperX kit will cost yet because it's so new. But keep an eye on it as it's fast and with substantial heat spreaders. We ran just three general tests, and even that was too many. We used our Test Rig which is based on a Gigabyte Designare Z170 motherboard, Intel Core i7 6700K CPU, Samsung 960 Pro NvME hard drive and an Nvidia GTX 1070 graphics card. We ran each test twice - once at the stock 4GHz processor speed and once at Gigabyte's 'one-click overclock' 4.6GHz setting. The purpose of these tests was fundamentally to show the minimal real-world differences in performance that exist with different memory kits. We ran the PC Mark suite of general tests and discovered that it showed us very little (UPDATE: We've since removed the graph as all the results are practically the same and we've subsequently tested more kits without using it. You can still see the results at the end of this article). So we ran the PC Mark Creative 3.0 test which focuses more on multimedia tasks and so should have highlighted RAM performance more. It didn’t by much. We also ran the 3D Mark Time Spy tests to see what difference faster RAM made to gaming scores. They hardly flinched. The raw result tables can be seen at the bottom of this article. Those graphs look different, surely faster is better? Firstly, remember that the difference in PC Mark Creative 3.0 (stock scores) between the lowest (5,534) and one of the highest (5,616) is just 82 points – that’s just a 1.48% increase. What does that mean in the real world? Well in the case of running the exhaustive PC Mark Creative 3.0 workload the entire test took 44mins 15secs on the slowest machine and 43mins 53secs on the fastest. That’s just 22 seconds difference over 44 minutes. Again, what does this mean for the real world? Just a few milliseconds of differences in multiple tasks with the only noticeable (and we’re stretching that definition here) difference being that the individual video editing tests tended to complete a second quicker. If you’re running a render farm 24/7, that might be an issue. In terms of gaming, your RAM will certainly get a workout, but the graphics card does most of the work. The difference RAM makes in 3D Mark's brutal, DirectX 12 Time Spy test is purely in the processor element and the spread between one of the best (5,614 3D Marks) and worst (5,523 3D Marks) stock scores was, as you can see below, only one frame per second. Going from the slowest stock score to one of the highest overclocked scores (5,707 3D Marks), the spread was still only 3.5fps and that was on the CPU component of the test - Graphics Card Test frame rates stayed the same throughout.